Kaplan is the world’s largest diversified education company helping millions of students achieve their educational and career goals. From helping a 10 year old with her 8th grade test prep to supporting her with getting her real estate license at age 40, and all the steps in between, Kaplan can accompany students for life. Kaplan is tapping the power of technology to deliver effective content specialized to each student’s need and learning preferences. To do so, they need smart and powerful structured content solutions that can manage and package together countless different combinations of learning content chunks for an ongoing and dynamically evolving learning environment. Kaplan has put Componize at the very heart of their company-wide instructional design & content management system. With this system, they plan to produce both online content as well as Test Prep books. Kaplan selected a DITA-based data content model. By using an open standard such as DITA, Kaplan is normalizing all of its content development and integration. The team is able to maximize the possibilities of XML content with the added ability to structure content into standardized chunks in DITA for faster and more easily specialized results in publication. Broad Repository Federation. The Kaplan team needed the ability to access and use content from across different kinds of repositories – ECM, image and video as well as XML. Componize is the only DITA CMS that federates different kinds of content repositories and allows customers to access content across it all. Seamless Integration with Alfresco ECM. Since Kaplan uses Alfresco’s open-source ECM, the team is able to take advantage of Componize for Alfresco: an all-in-one package that provides enterprise collaboration and workflow capabilities plus Componize’s DITA CMS, with seamless integration. Living Links: “Componize completely takes care of DITA’s biggest liability: the linking.” says Russ Tincher, Senior Director of Content Management Systems at Kaplan. Componize ensures that whenever a user opens, closes, renames or moves a file, all references to that file are automatically checked and updated, if necessary. Componize analyzes your content, verifies your links and indicates any missing or erroneous elements in the document structure. 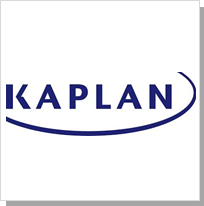 Maximized Metadata: Kaplan needed the ability to closely track all of its highly granular content to help users more quickly and easily find the right content for reuse. To do so they needed a system that could continually ingest and manage good metadata about the content. Componize does just that and more including automatic categorization and tagging of content. Componize also automatically synchronizes content and CMS metadata. Customer Focused: Tincher adds, “Componize just works. It is the only software that works great, out of the box. If you’re in the business of content development and design, not in the business of building your own proprietary technology platforms, Componize is really the only choice.” The project has had no integration issues, and fast support for questions. The Kaplan team attests to the way Componize listens to customer needs and remains engaged over the long term. Componize provides Kaplan with the most robust and flexible structured management capabilities available. That allows Kaplan’s team to not worry about its technology platforms and instead, stay up to speed with its students for life. Kaplan is the world’s largest diversified education company helping millions of students achieve their educational and career goals. Kaplan is tapping the power of technology to deliver effective content specialized to each student’s need and learning preferences. In 2010, Kaplan put Componize at the very heart of their company-wide instructional design & content management system. With this system, they manage and package together countless different combinations of learning content chunks for producing both online content as well as Test Preparation books.